Welcome home to this top of the line 3 bedroom 2 bath stunner in sought after Lecanto Florida. This brand new home offers high efficiency construction, large rooms, upgraded flooring , granite counter tops in kitchen and baths, inside laundry, stainless appliances including dishwasher, oversized 2 gar garage, covered back porch under roof line with ceiling fan, dual pane windows, plenty of parking on large driveway with turn around all sitting on over a half acre lot! This home is complete and priced to move! 1 year builder warranty included with sale as well as transferable warranty on all major components of home. Also comes fully landscaped! 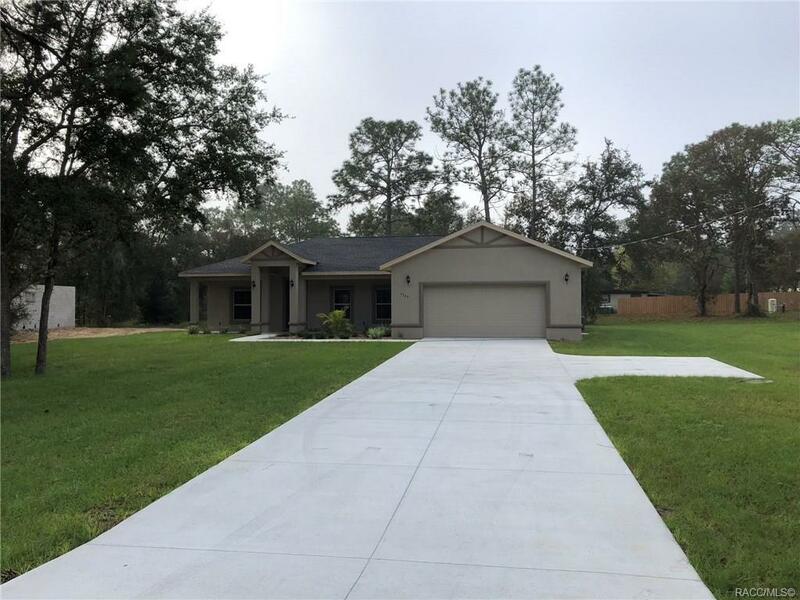 State forest within walking distance and close to all the wonderful amenities Citrus County Florida has to offer such as rivers, lakes, hospitals , shopping, dining and much more! Call today for your private tour! Directions: From Inverness Take 44 West To Left On Lecanto Hwy Past Central Florida College To Home On Right. © 2019 Citrus County Board of Realtors. All rights reserved. Information deemed to be reliable but not guaranteed. The data relating to real estate for sale on this website comes from Citrus County Board of Realtors and the Broker Reciprocity Program.sm. Real estate listings held by brokerage firms other than The Holloway Group, P.A. are marked with the BR logo and detailed information about them includes the name of the listing brokers. All measurements and all calculations of area (i.e., Sq Ft and Acreage) are approximate. Listing broker has attempted to offer accurate data, but buyers are advised to confirm all items. Information last updated on 2019-04-19.